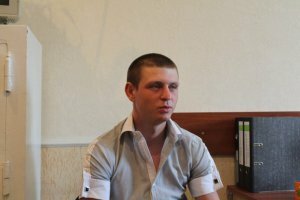 The interview between the correspondents of the DPR Committee for Social Communications and a Ukrainian soldier, who defected to the Donetsk People’s Republic. – My name is Nikita, I was born in 1993. I am from Makeevka, Donetsk region. I joined the Army a year and a half ago in order to obtain a military ID. – Were you a contract soldier? – No, I was a conscript called up to serve for the Homeland. I joined the Army—the Internal Forces. – In which sub-unit did you serve? – 3066th convoy unit near Kiev. The unit specialized exclusively in convoying. I was in the third company, specialized in routine convoying. – In which battles did you participate? What did your unit do during the conflict? – During the conflict we were transferred to the 3027th Special Forces unit. People call it “Bars”. We did not participate in any battles. Initially we were trained for the ATO. We were told about this later, though not officially. We had to ask many questions; to find out for ourselves. We realized, after Petr Poroshenko declared that those who took part in the parade, would participate in ATO. We knew that we—the conscripts—would join this column. – Tell us please, why did you side with the DPR? Under what circumstances did it happen? – The thing is that my family and I are from this region, and when everything started, I did not like it from the very beginning… I realized that our state causes only harm. I was fed up with serving this country. My family and I were on different sides as it turns out. I never liked it. – Tell us, what are the conditions, ammunition, food like in the Ukrainian Army? – The weapons are all Soviet Union. Were there no Soviet Union, there would not be any arms. All the guns, bullets, mines are from the strategic ammunition storage sites. Mines were kept in the boxes rotten thirty years ago… As for food—it is the usual infantry rations, nothing special. In the combat zone we had only dry rations. – What is the commanders’ position? – They do not know what to do; they are deadlocked and cannot explain anything. – In general, what is the mood of the Ukrainian Army soldiers? – Their mood depends on… nothing. They have no spirit. If you want to be in a good mood, you will be in a good mood. They are just not ready to fight. They do not know what it is. – Well, let us consider: there is the regular army, the Praviy Sektor Corps, the National Guard. What are the attitudes between these units? – No attitudes at all, they satisfy themselves by fighting “terrorists”. – The Praviy Sektor soldiers? Well, how would I treat people I had to fight against half a year ago and have to fight alongside now? – How is the mobilization in Ukraine conducted now? – As far as I know, initially, people were recruited voluntarily. Then discharged soldiers were recruited. You served your term ten years ago—now you are called up again. Now everybody is called up for service. Everybody is afraid; everybody is hiding as they understand the Ukrainian Army will take it in the a__. – What about your relatives? Have you been in touch with them? – Of course, I am in constant communication with my parents, close relatives, friends, companions. They were telling me about that was happening here, and me being there—in the Kiev region—I watched the news and could not understand who was lying. Everything shown on the news is nonsense and lies. – Tell us more about Ukraine’s propaganda machine. – Well, when we fled away for about five days, my comrade’s mother called him and said, “the Ukrainian Army is winning!” We ran away but she said that. On the news they said we won although we did not even put up a fight, we just ran away. – And what do they say about Donbass people? – They call them the people who wanted this war. – Still, what do you think, are they separatists or just people who protect their homeland? – No, these are people who defend their beliefs and want to live better. This government cannot offer anything to them. – What would you say to the guys fighting on the Ukrainian side? – First of all—not to be afraid. They are afraid to desert, afraid to be convicted for desertion, afraid to be imprisoned. The government treats them badly and does not do what it promised them. There is no trust in our government. – When did you side with us? How did you manage to do it? – Yesterday. To be honest, I do not like snakes. It was the last straw. We were on guard near the river. There were about twenty snakes beside me. I could endure guns firing, wounded people, but… We had two roadblocks bombed out. There were nine of us on an APC, we drove and picked up wounded people. There was screaming, blood—it was terrible. But the snakes were the last straw. I could not stand it any more. Damn this army. I just talked to my father, looked through the map on the internet and that is all. – What was your family’s reaction? – They are happy for me to be back. – What are your plans, will you fight on the DPR side? – Yes, I do not want to live in such a deceitful state. I used to fight for it. First they told us about their aims, then they just started saying “It is your duty, you have to”, but we owe them nothing. They promised to let us go home a month earlier, for us being on Maidan trying to preserve order. But I served fourteen months instead of twelve. Look, folks. A lot of people are disgruntled by developments in Novorossiya, especially the Minsk protocol. There is opposition to Zakharchenko, and a longing for Strelkov’s return. There are even reports of arrests of Strelkov supporters. But look at the bright side. Borders are being established that include 50 to 60 percent of Donbass residents, the key cities of Donetsk and Lugansk, long Russian borders, and a path to the sea. Zakharchenko, for all his alleged faults (including possibly being the only candidate for prime minister! ), has completely shunned the new Ukraine “law” establishing partial self-rule for Donbass, saying why do we need to listen to the laws of another country?! He seems wholly committed to independence. 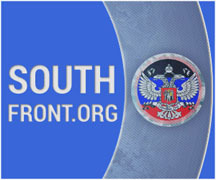 He has also announced the issuance of Novorossiya passports. This is pretty darned good for starters. Maybe the election following this one will have a whole list of candidates. At any rate, on the face of it, Zakharchenko is not “selling out”. Last but not least, he presents a good appearance. About the Donetsk chemical factory blast of today, Oct 20, here is an extraordinary youtube actually showing the fiery trail of the incoming missile, the enormous fireball of the blast on the horizon, and about 8 seconds later, the window breaking right in front of the camera, putting the viewer about a mile and a half from the explosion. Military experts and folks who live in the area might be able to tell from this video where the missile came from. I hope people figure out exactly who did this and why, and publish the results broadly, especially on Twitter. Fortunately no one was injured.